Ryerson Library has trial access to the Business Expert Press Digital Libraries ebooks collection through July 4, 2014.
Business Expert Press Digital Libraries offers curriculum-based digital resources for students and entrepreneurs in business and management programs. Trial access includes content for 2010-2014. Please email erm@ryerson.ca your feedback. Ryerson Library has trial access to the Orlando database through February 9, 2014.
any number of perspectives into centuries of women’s writing. This database is a new kind of electronic textbase for research and discovery. As a new kind of history of women’s writing, it seeks to further the study and understanding of literature, focusing particularly on the part women have played in its development. 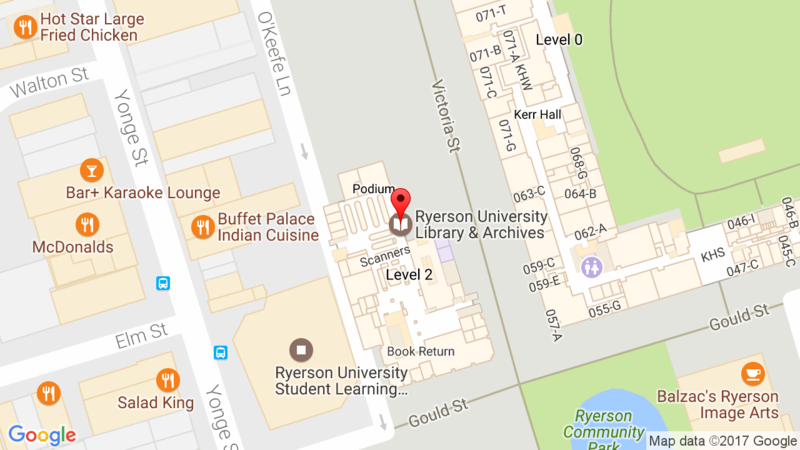 Ryerson Library has trial access to the Material ConneXion database through November 22, 2013. Material ConneXion offers a knowledge base with an eclectic collection of innovative materials and processes. The database is updated regularly and frequently with materials juried by a panel of material specialists. It is a resource for all disciplines of design development, including: Architecture, Interior Design, Packaging Design, Retail Design, Industrial Design, Fashion, Apparel & Footwear, Exhibition Design, Textile Design, Landscape Architecture, and Transportation Design and includes the largest selection of sustainable materials and the only Cradle to Cradle materials library in the world: Polymers, Ceramics, Glass, Metals, Cement-based materials, Natural Materials, Carbon-based materials, and Processes. Between the dates of Sunday, October 13 and Saturday, October 26 Ryerson Library has trial access to the Online Egyptological Bibliography. The Online Egyptological Bibliography (OEB) holds the details of more than 100,000 references in Egyptological literature. It includes the volumes of the previous Annual Egyptological Bibliography (AEB) for 1947-2001 with all abstracts, combined with Bibliographie Altägypten (BA) for 1822-1946, and a large majority of the records in the Aigyptos database. It provides coverage of Egyptological literature from 1822 to the present and is updated nearly every day. Ryerson has a new resource called SAGE Research Methods. SAGE Research Methods contains content from more than 640 books, dictionaries, encyclopedias, and handbooks, the entire “Little Green Book” and “Little Blue Book” series, two Major Works collating a selection of journal articles, and newly commissioned research methods videos.